I reset my Nokia N9 and now Skype it's ok but now I have problem with my yahoo email account.I can not sign in.Any suggestions, please? Today Skype stop working.I can't sign in. nomsa, 18 May 2016just bought my Nokia n9 from dubai but am failing to download WhatsApphttps://openrepos.net/content/afshindva/whatsup try this. nomsa, 18 May 2016just bought my Nokia n9 from dubai but am failing to download WhatsApp Unfortunately, MeeGo OS, v1.2 Harmattan is not supported by WhatsApp, so N9 can't install the app. 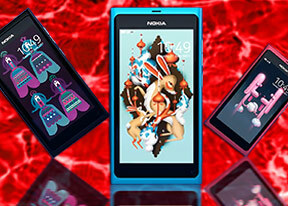 AnonD-497009, 04 Feb 2016is it possible to install windows or any android platform in the nokia n9 instead off meegoLol, all loves n9 for meego, that is all. Why install other os? Anonymous, 21 Mar 2016Yes. It's on maximum volume. The only solution so far is to put it on speaker. But is there an... moreI dont know, maybe it is the speaker itself low on volume, in general low powered one. It could be the side aswell, maybe they are talking quiet, maybe their microphone isn t very good, there could be a lot of reasons, but I think that its speaker is just not loud enough. I know that I always have volume all the way up, when calling someone. Jim, 11 Mar 2016 Hi, is volume low even when is all the way up, (that green line in, when calling someone, or ... moreYes. It's on maximum volume. The only solution so far is to put it on speaker. But is there any other solution? jhongkeeangel, 11 Mar 2016i don't have a nokia account so i cannot use nokia drive and nokia maps, anybody here who is s... moreI apologise because i didnt check the link, its not working anymore so you cant see anything (at least for me) but I will try to find the links you need. All rights go to their respective owners, i dont own anything, I m just here to help, if you need more help, write down and community will try to help you. jhongkeeangel, 11 Mar 2016i don't have a nokia account so i cannot use nokia drive and nokia maps, anybody here who is s... moreYou can t create new Nokia account anymore, here are the links and instructions that you need, you can go back few pages in comments section and you will have all the info you need. Anonymous, 07 Mar 2016Hi guys, I bought used Nokia N9 and have problem that I barely can hear anyone that is calling... more Hi, is volume low even when is all the way up, (that green line in, when calling someone, or when someone calls you), green line shows up in same place where the volume (pink) line is, shows only when calling or recieving call?